Jerry chuckles, and continues, “In my little town, we were friends with the guy who owned the funeral home. I think maybe because it was always so kind of glamorous – the funeral parlor and all of that. “You like the show,” I offered. Loving the movies, being inspired by characters, wanting to effect change through theatre – I’ve heard many an origin story about how each of us came into the industry. But Jerry’s funeral parlor story? That was a first. I first met Jerry Popolis – film hair department head and Robert De Niro’s personal hairstylist – at a diner in Gramercy Park, New York City. It was hot, and the diner was hectic. But as I made my way towards the back where he was seated, I felt like I was walking into a zone of zen. It is this amiability and a major passion for the business that’s brought Jerry this far. 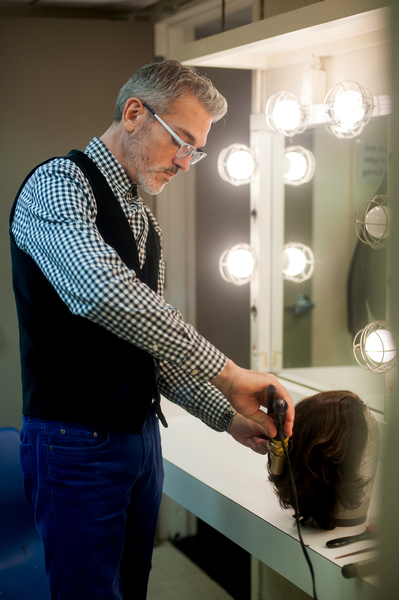 He’s a 20-year theatre and film industry veteran whose major recent accomplishments include winning a Makeup and Hairstylist Guild Award for “Birdman”. He’s also a newly-minted member of the Academy of Motion Picture Arts and Sciences. For Jerry, having those years of experience doesn’t mean he gets any less stressed. “When I start a project, I don’t sleep for days. I mean…I do, but I’m awake in the middle of the night restlessly thinking about what I need to do. That’s because if he isn’t on his game at all times, it could cost the company “hundreds and hundreds of thousands of dollars.” This means that a seemingly isolated departmental error or an inability to fix an issue could lead to production delays, which mean additional hours for all cast and crew, among other things. One thing Jerry’s years of experience has taught him, however, is to be extremely adaptable to changing circumstances. So instead of viewing things as unexpected emergencies, he simply treats them as yet another production challenge to work on. Over the years, Jerry has had to change the way he works due to the many shifts in the way film is created. This means the camera may pick up a flyaway strand of hair, even if you don’t observe it with the naked eye. In such instances, Jerry says the cameramen have his back, and would let him know if anything were out of place. That said, Jerry acknowledges the importance of doing his part to – at the very least – help keep production on budget. 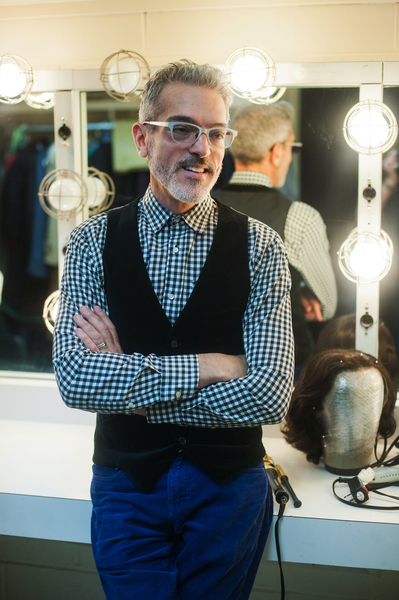 He even tries to save production some money by repurposing some wigs – if working with the same actors those wigs were made for – and reusing hair products. Such stress aside, Jerry enjoys getting to exercise his own brand of creativity – even amidst demands and requirements set by the studio and creative team. In spite of his achievements, especially in recent years, Jerry still finds it hard to be unabashedly proud of his work. “You always doubt yourself and how good the work is. As any creative person, you always see the flaws that other people don’t see. But this last year has been pretty incredible for acknowledgements – first the Guild Award for “Birdman”, and I was able to present “Noah” to the Academy as a consideration for hair and makeup. There’s one thing Jerry holds a very silent pride – and peace – in, and that’s being able to use his professional skills to prepare his mother for her final send-off. So is this any indication of what he’d be doing if he weren’t in show business? Or – as he mentioned before all this undertaker talk – sell fresh produce from his garden at the local farmers market. Jerry walked me about halfway to the subway station, where he had to diverge for another appointment. We hugged (because come on, that was quite the conversation we had, no?) and parted ways. I floated around in that bubble of zen for the rest of the hot, humid New York day. 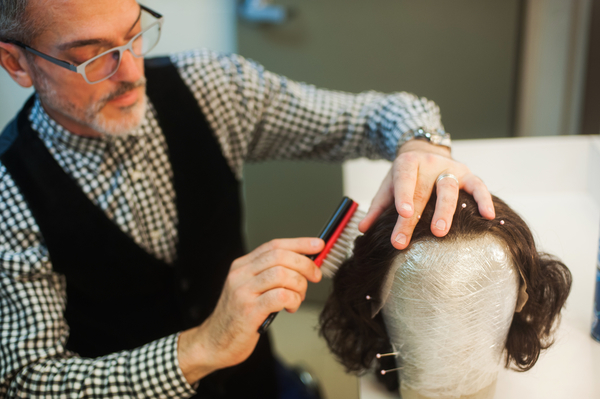 Custom wigs usually take about six weeks to make, and cost between $7,000 and $9,000 each, depending on how intricate it is and who’s making it. 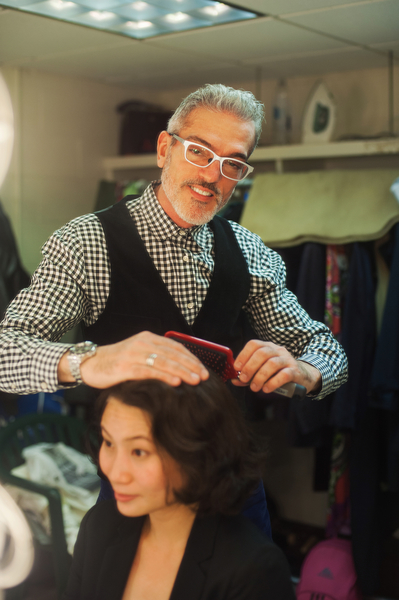 Every single strand of hair is put in by hand, and is made to the exact specifications of the production – including how they’d want the hair to move.